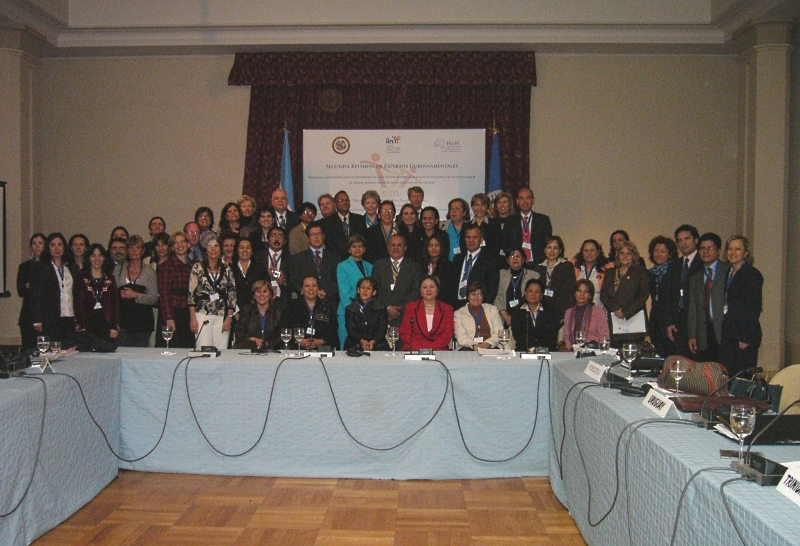 The Second Meeting of Governmental Experts on International Child Abduction by one of their Parents took place in Buenos Aires from 19 to 21 September 2007. Participants were mainly Judges and Central Authority officers from Argentina, Brazil, Chile, Colombia, Costa Rica, Dominican Republic, Ecuador, El Salvador, Guatemala, Mexico, Panama, Paraguay, Peru, Trinidad and Tobago, the United States of America, Uruguay and Venezuela, as well as observers from Spain, UNICEF, Missing Children Argentina and several interested academics. The meeting was co-organized by the Inter-American Children’s Institute and the Hague Conference on Private International Law. This meeting, as well as the first joint meeting that took place on 10 November 2006, can be seen as tangible achievements based on the agreement signed by both Organizations on 11 June 2006. The main objectives of the meeting were to (i) generate contributions to design a Working Plan for the Inter-American Programme of Cooperation for the Prevention and Remedy of Cases of International Abduction of Children by One of Their Parents (AG/RES. 2028 (XXXIV-O/04), and (ii) work on the implementation of some of the Conclusions and Recommendations of the Fifth meeting of the Special Commission (to review the practical operation of the 1980 Hague Convention and to consider some implementation issues concerning the 1996 Hague Convention) and of the Inter-American Expert Meeting held in The Hague on 10 November 2006. The Conclusions of the Meeting are available here (in Spanish only).